I’m so excited to finally share with you! 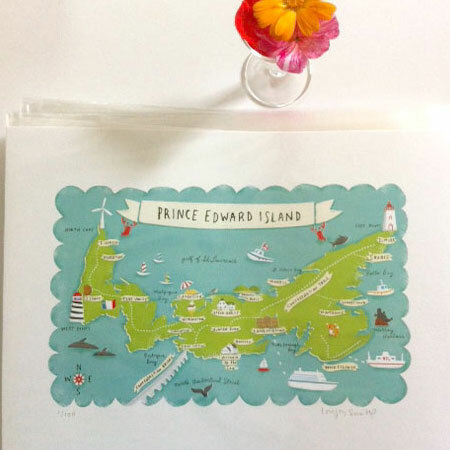 This is a project that I have wanted to do for so long, an illustrated map of PEI! I finally got to work on it this Spring, and now I can’t believe I have it printed and in my hot little hands. This year marks 6 years we’ve lived here. Holy smokes! We still all feel so lucky to call this wonderful place our home. 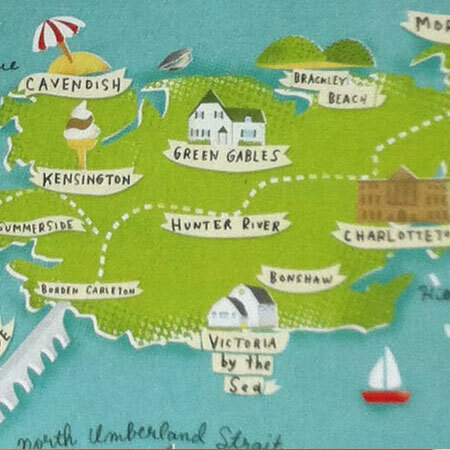 The map is filled with places we love and that are special to me. I also asked friends and locals what they thought should be included. I’m sure I forgot some things… until I start hearing about them, I love how it turned out. Prints are available in my etsy shop. If you are from these parts Cottage Industry on Grafton St and YFTKB on Water st will be stocked up with them soon! looks fantastic! how big is it in person? xox!